Letitia Wright Joins Kenneth Branagh’s Mustache Vehicle Death on the NileWright joins Armie Hammer and Gal Gadot in a who’s who of hot potential murderers. These 2000s Reality TV Series Are Ready for a Second LifeGive 2019 the Kid Nation and Boy Meets Boy revivals it deserves! Roswell, New Mexico Premiere Recap: Nostalgia’s a BitchThis pilot serves up all the alien romance and small-town drama Roswell fans will want, alongside smart commentary about fear, bigotry, and otherness. Chris Pratt Rumored for The Saint Remake And Please God, Let Him Go Full KilmerThe 1997 film version was a feast for the eyes, if your eyes like to eat wigs. Want to Take A Look at The Other A Star Is Born Films Before Seeing the New One?Well, great, because they’re all currently available to stream. American Zombies to Ride the Rails in Producer James Wan’s Train to Busan RemakeThe South Korean original is a modern undead classic. In Remake News, Mel Gibson Will Be Directing The Wild BunchThe 1969 original was directed by Sam Peckinpah. Deadpool 2 Director David Leitch Might Be Taking on Enter the Dragon RemakeThe Bruce Lee martial arts classic was released in 1973, shortly after the star’s untimely death at 32. Overboard Is the Kind of Remake We Can Get BehindThe bilingual reimagining of an underseen Gary Marshall rom-com is unexpectedly fresh. Lupita Nyong’o Is Turning Assassin for John Woo’s The KillerThe director is remaking his thriller that previously starred Chow Yun-Fat. The Hunger Games Screenwriter Will Pen the Logan’s Run RemakeDystopias here! Get your futuristic dystopias while they’re hot! Overboard Trailer: Is It Wrong to Lie to a Millionaire If He Makes a Great Dad?Ah, that most human of conundrums. Call Up Your Middle-School Friends: Disney Is Remaking Hocus Pocus for TVAs a new Disney Channel movie. Todd McFarlane Is Partnering With Blumhouse to Develop His Spawn RemakeThe comic book was previously adapted for a 1997 movie and an animated HBO series. Julie Andrews Is Steering Clear of a Mary Poppins Sequel CameoFor a very considerate reason. The New Jumanji Movie Swaps Out the Board Game for a Mysterious Old Video GameFour high-school students discover an old console and game while serving detention. Jumanji-ing ensues. 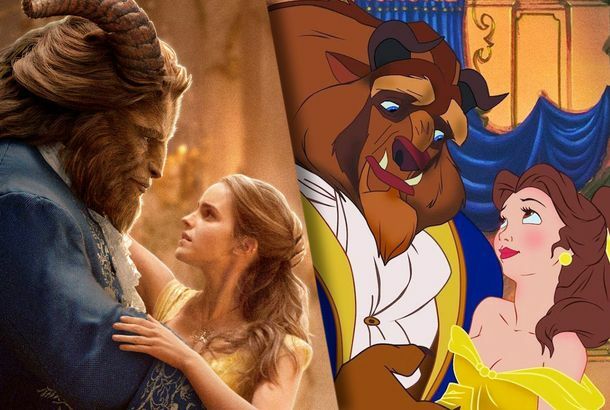 How the New Beauty and the Beast Is Different From the OriginalThe Beast gets a personal history, and we find out what happened to Belle’s mother. Disney Posts Open Casting Call for Guy Ritchie’s Live-Action AladdinWanted: Real, attractive, and talented Middle Eastern (or similar) stars to step into a whole new world. What J-Horror Loses When It Crosses the PacificDoes The Ring stack up to Ringu? How does Dark Water compare to Honogurai Mizu no soko kara? Hathaway Might Co-star in Scoundrels RemakeNot just dirtier, but nastier. White Men Can’t Jump Is Getting a Remake from Black-ish’s CreatorIt ain’t no thing but a chicken wing on a string. South Korean Film Miss Granny to Get U.S. RemakeThe movie already has adaptations in six different Asian languages. Sharon Horgan’s Pulling Is Getting an American RemakeIt’s heading to NBC.